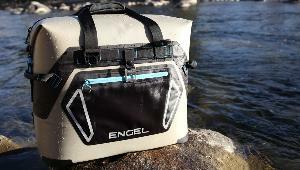 Prize: ENGEL HD30 SOFT COOLER & 2 ENGEL TUMBLERS ($299). What you must do to enter: complete form --- there's a similar (but different) Engel giveaway already listed on CC --- it's the same prize but different URL and prize picture. Statistics: This contest was opened by 109 and entered by 15 ContestChest.com members. 14% of those who opened the contest, entered it.